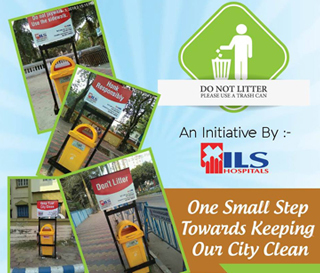 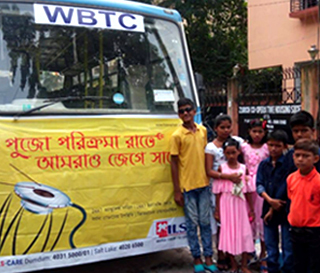 The fantasy journey this Puja continued for the street children, an ILS Hospitals initiative. 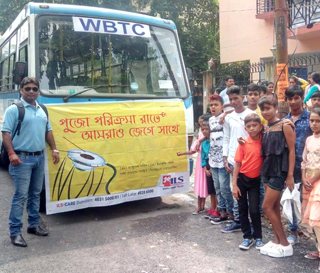 As the city woke up to the eternal beat of drums, the chants of mantras on Panchami morning, ILS Hospitals took a bus full of special children for pandal hopping. 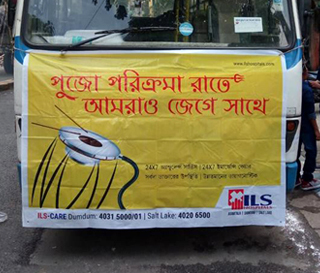 “The radiant smiles of these children that greet us is the true celebration of the Pujas,” said Mr. Debashis Dhar, Vice President of ILS Hospitals.